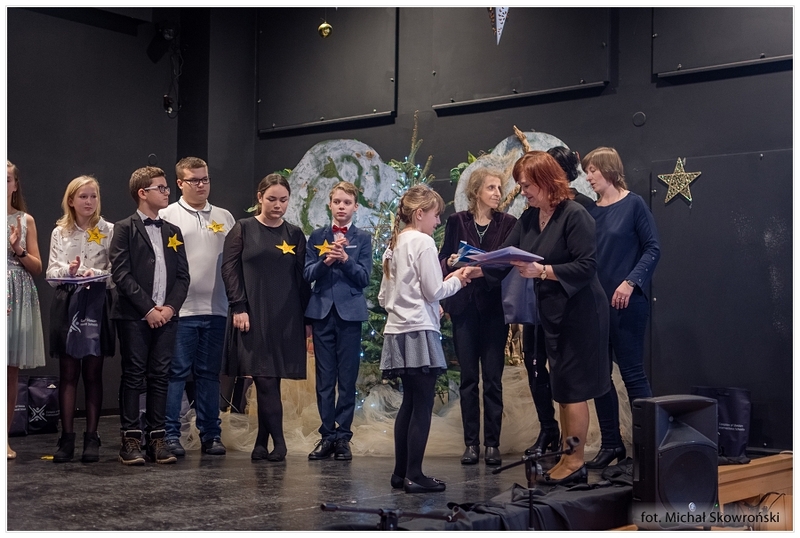 It is a tradition that in January our School hosts the Extramural Contest of European Chritsmas Carols for students of primary schools. 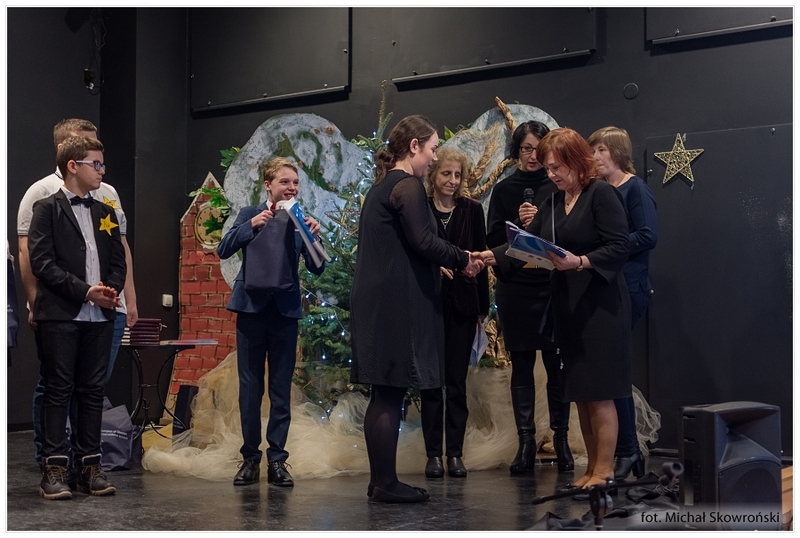 Precious prizes were founded by the Headmistress, Ms Jolanta Kałuża. 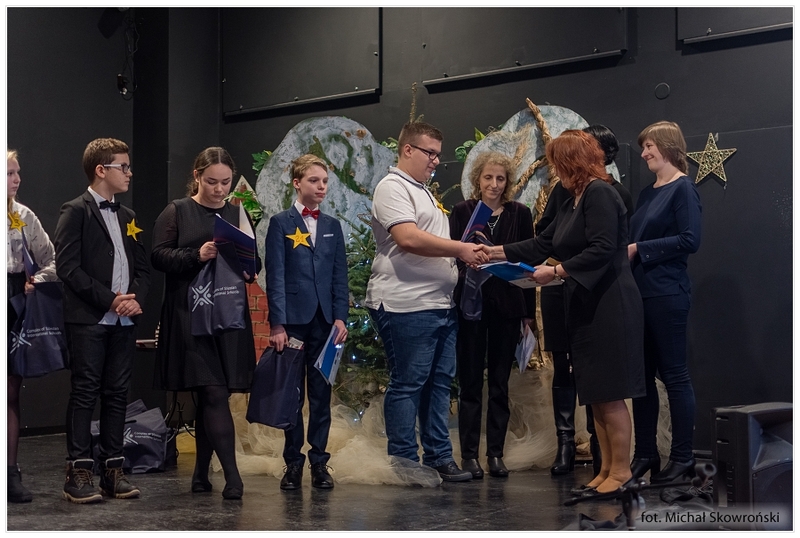 Our special Guests were: Ms Barbara Czwartos, PhD, from Regional Teachers' Training Centre "WOM" in Katowice and Ms Dorota Szewczyk from Regional Teachers' Training Centre in Sosnowiec. 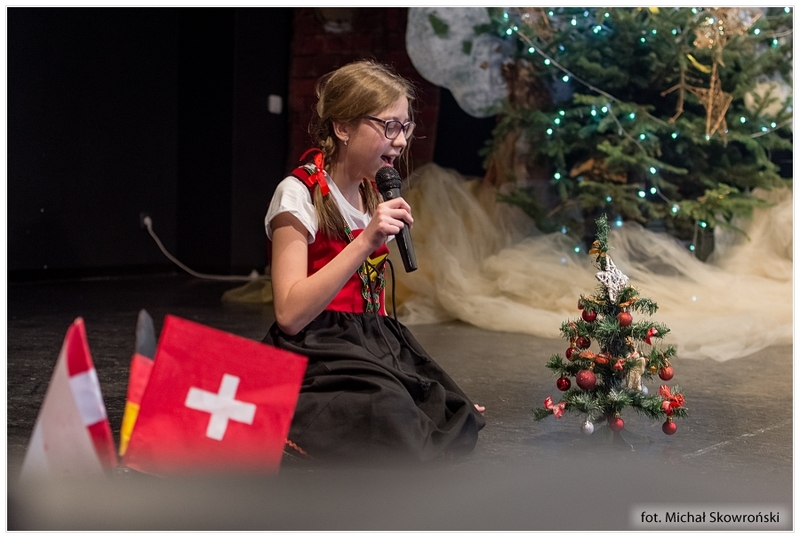 Students from 12 schools participated in the contest and sang songs in English, German, and Spanish. 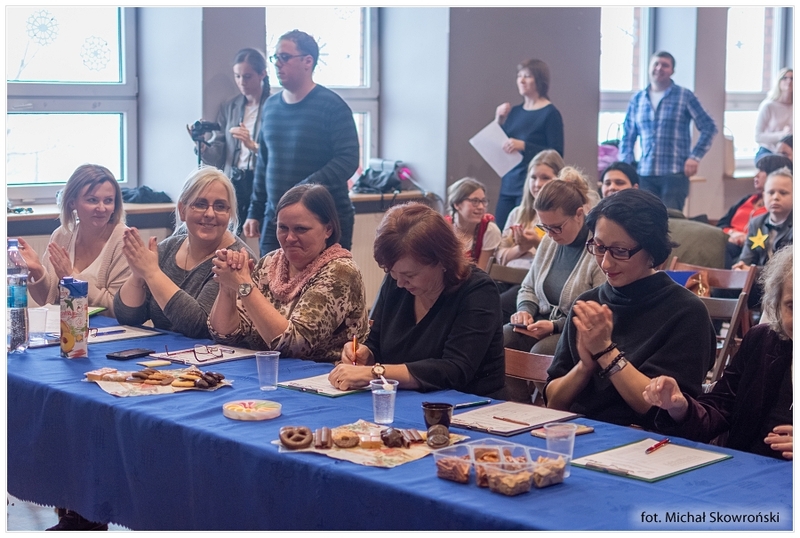 The jury evaluated their linguistic correctness, reproducing the melody, and general artistic impression. 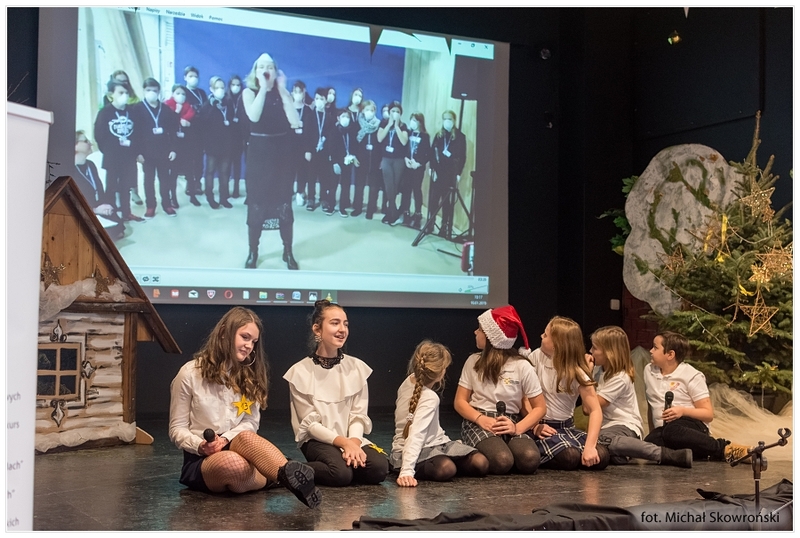 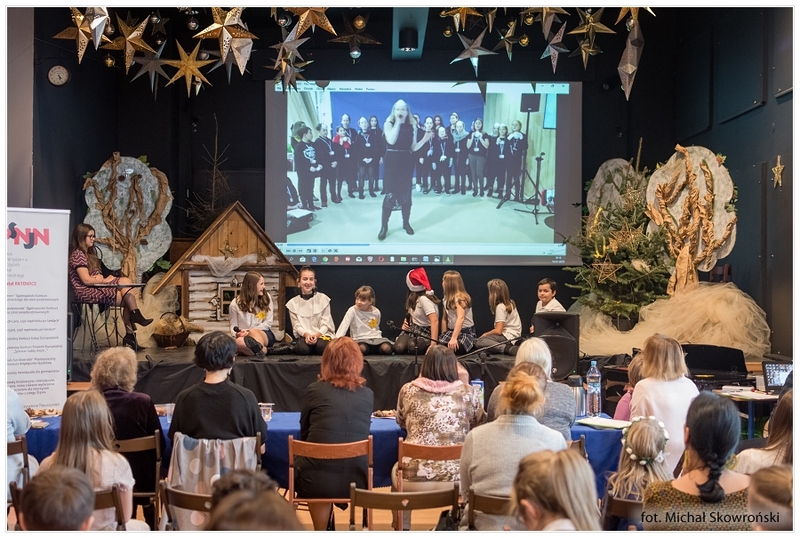 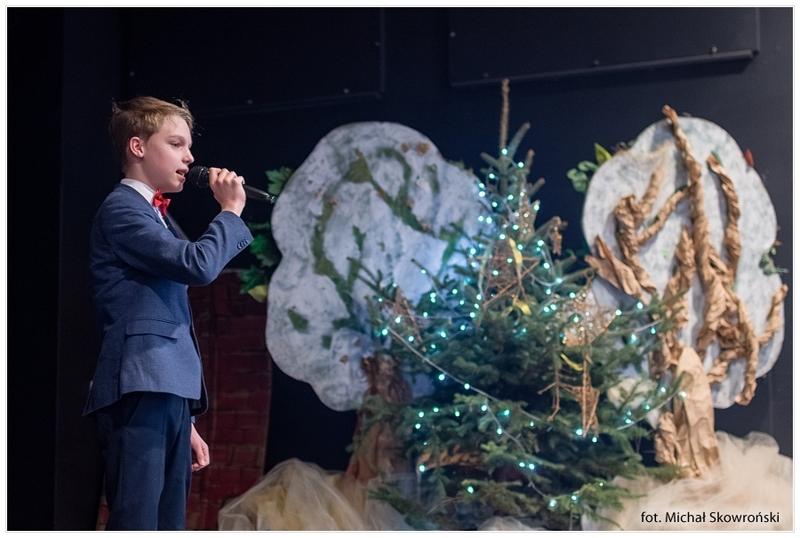 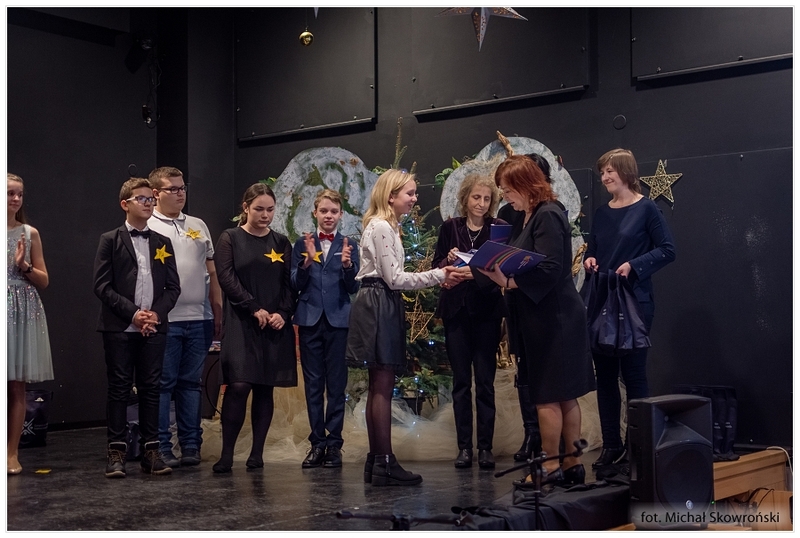 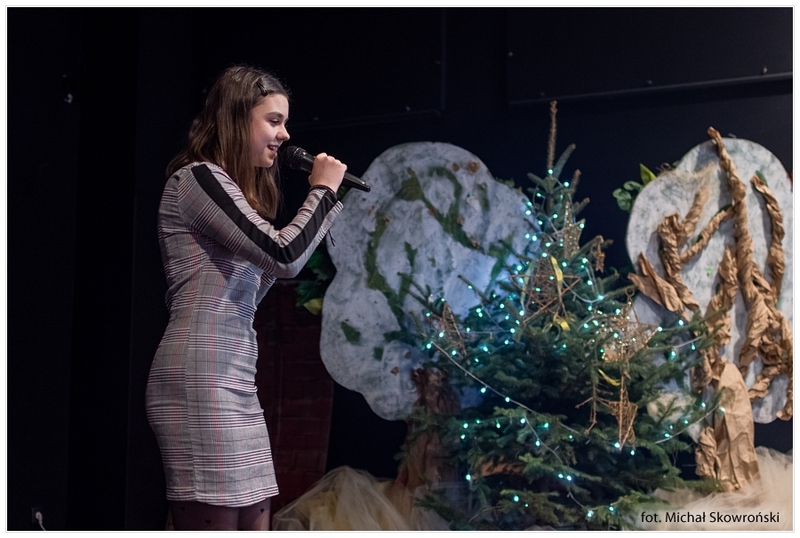 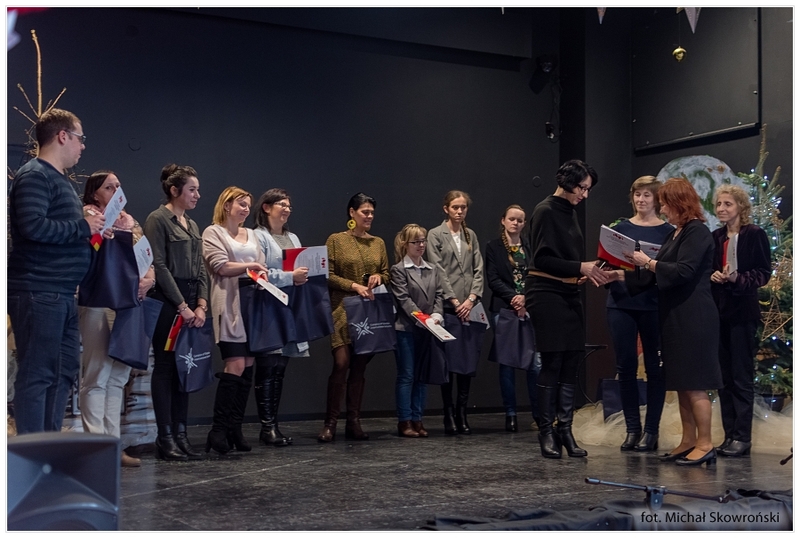 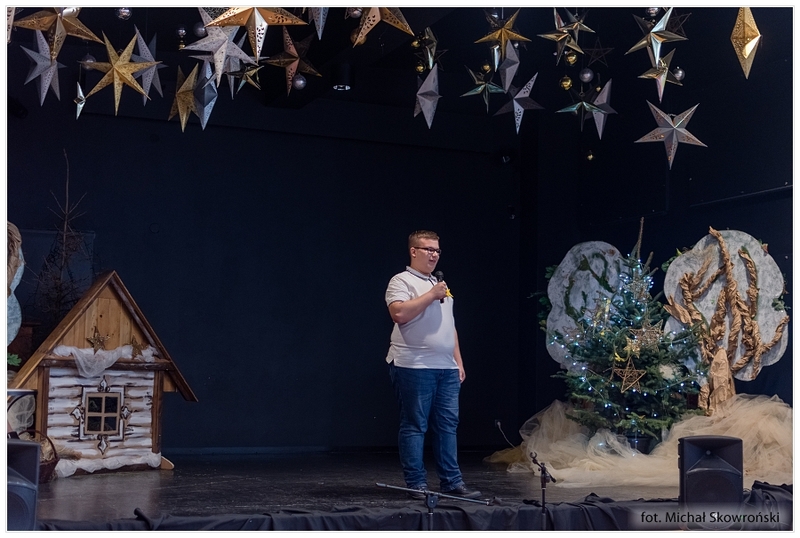 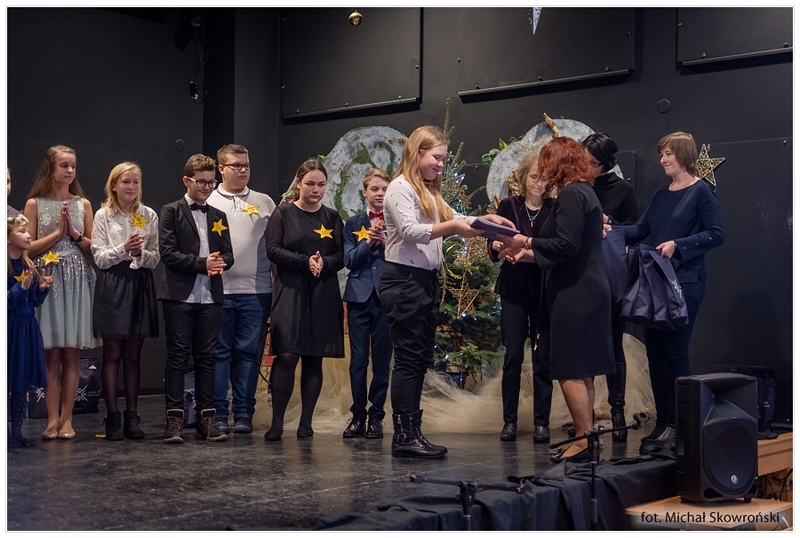 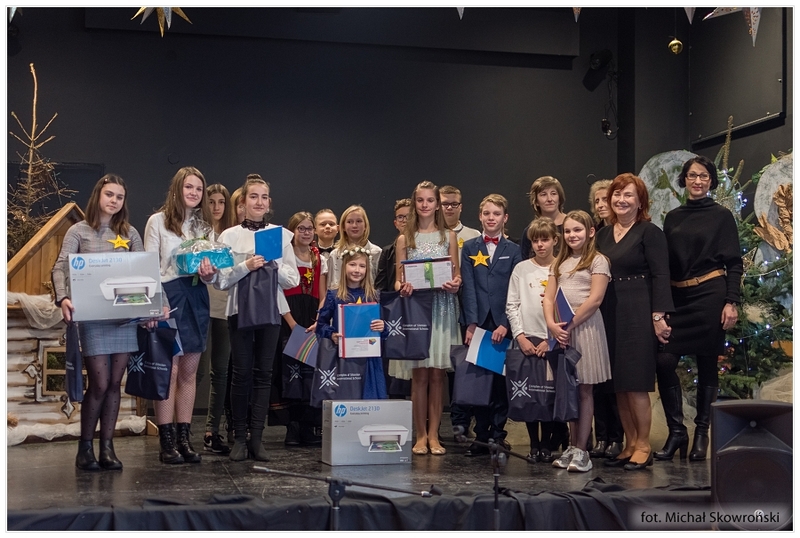 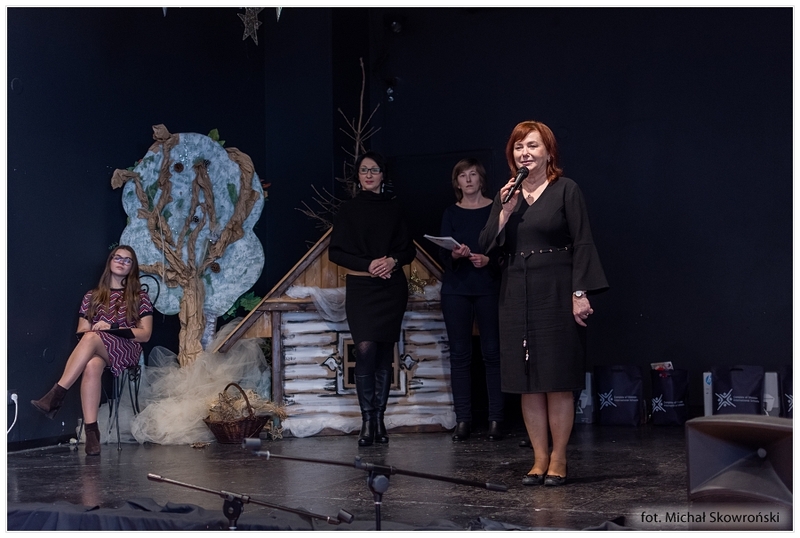 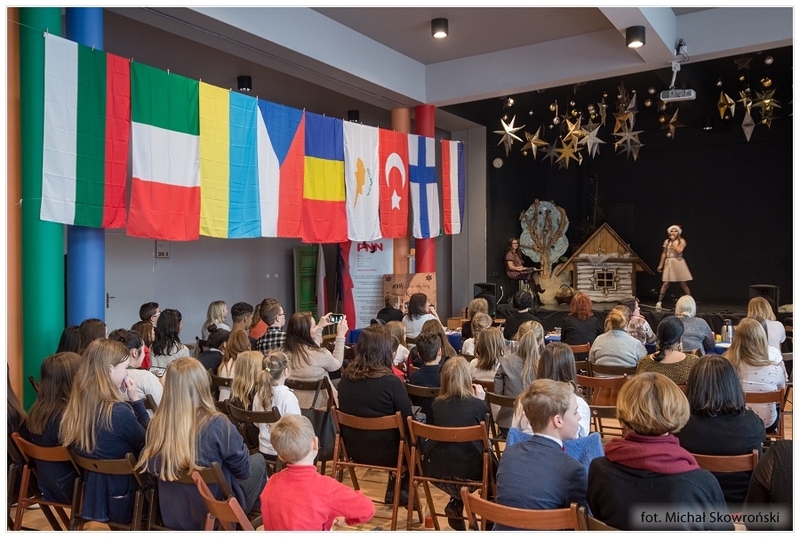 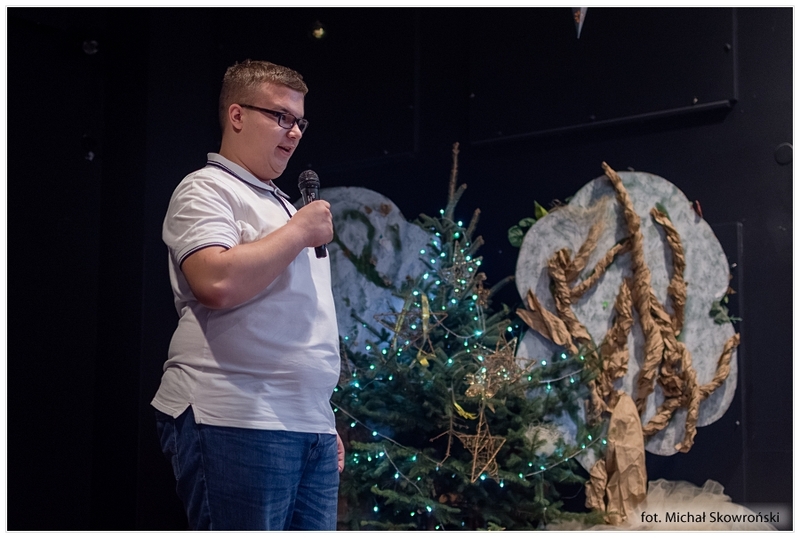 As every year, apart from the contest, students from Complex of Silesian International Schools sang a few Christmas songs. 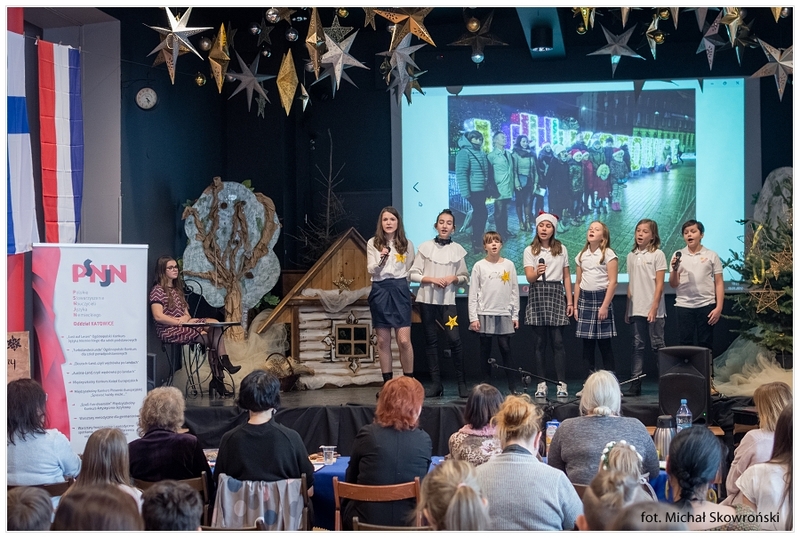 Also, the song Klimasong - "I Need Air" was presented, which was performed by students from different schools with a German foundation "Save the World" and a singer, Bernadette Hengst, during COP24 Climate Summit in Katowice. 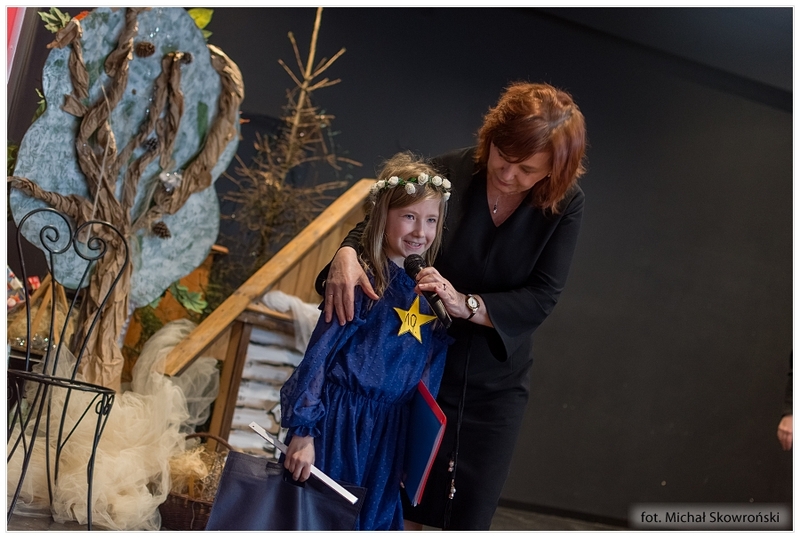 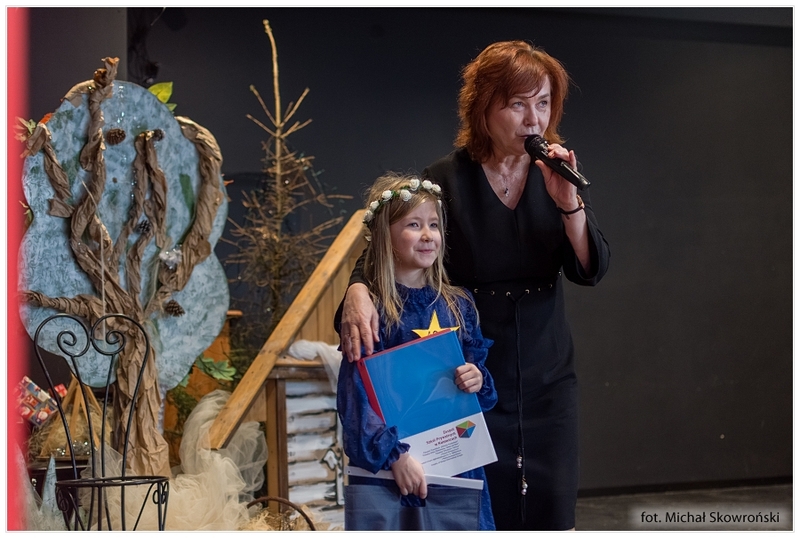 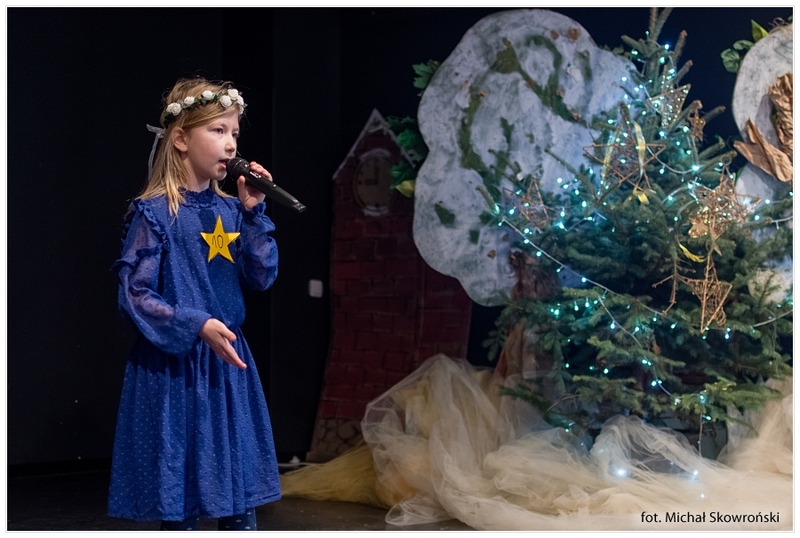 Aurelia Radecka from Karol Grzesik Primary School No 37 in Chorzów won the contest in the age group representing grades 4-6, with the song "Mary Did You Know? 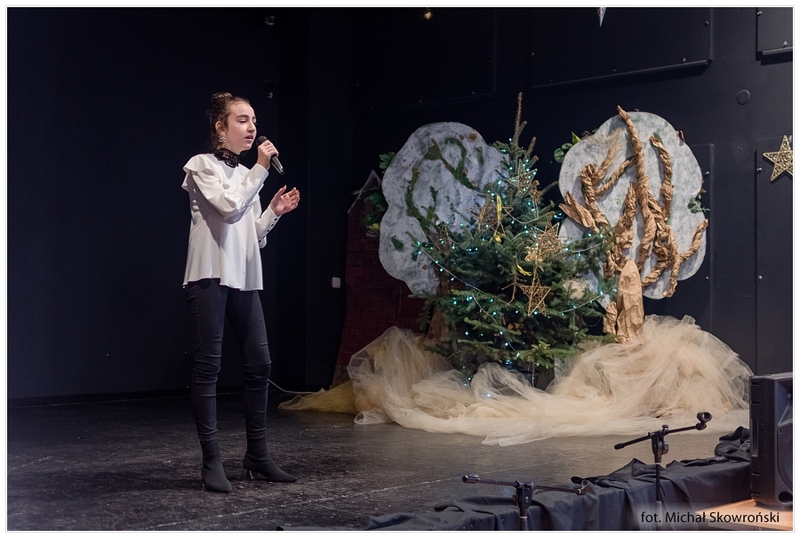 ", performed in English. 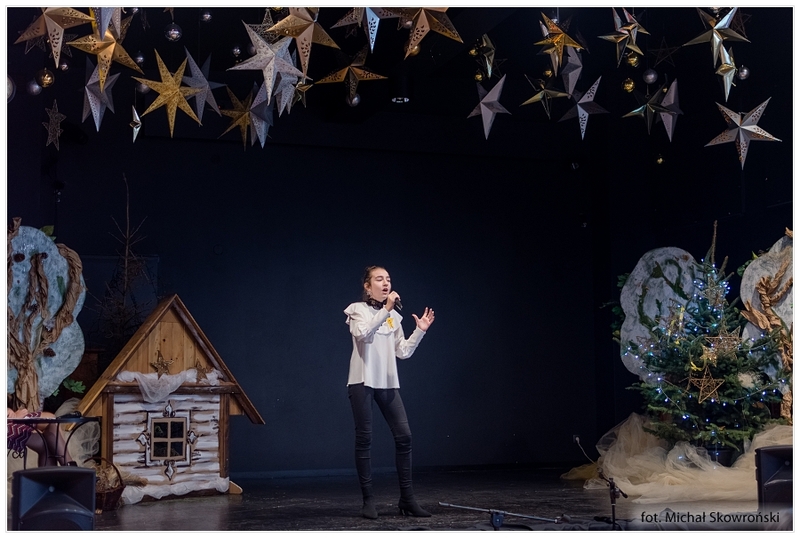 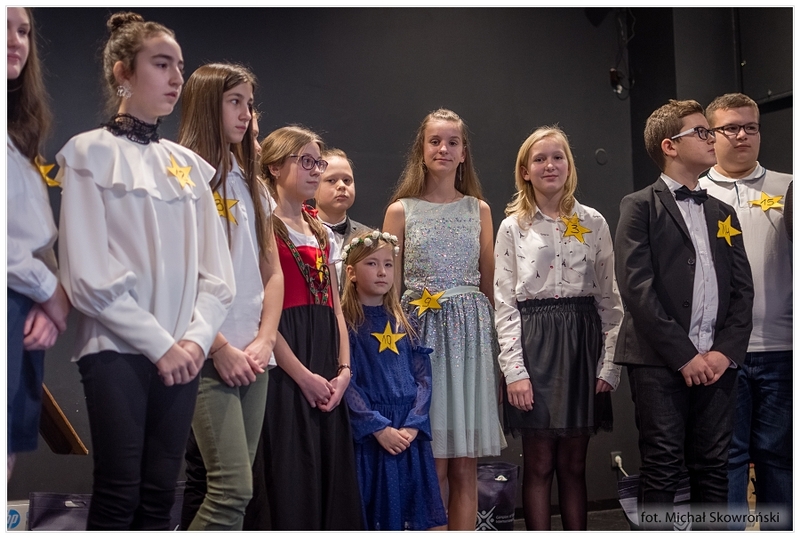 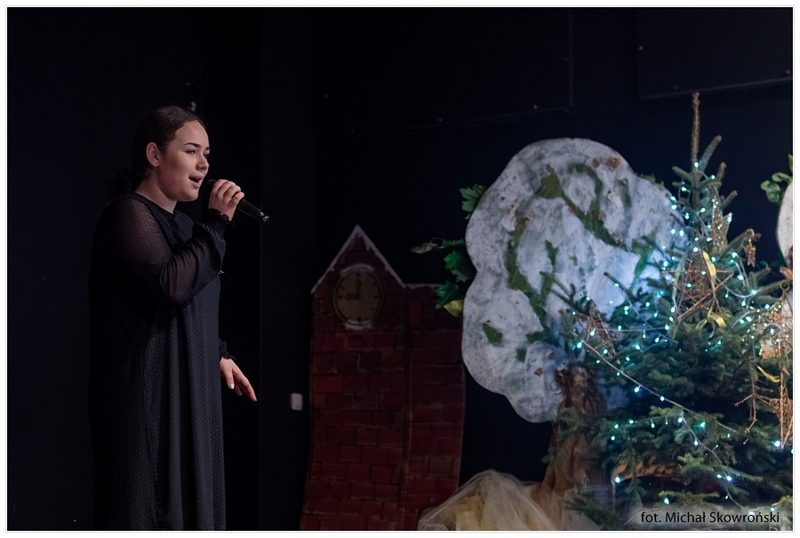 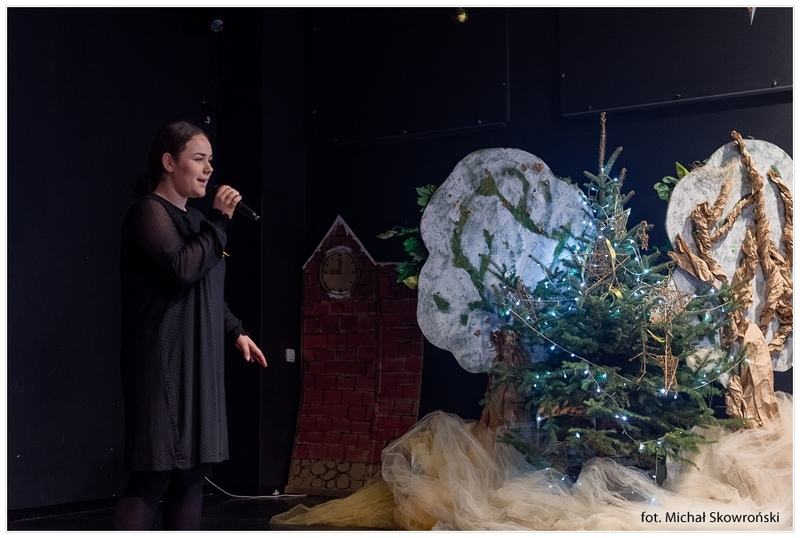 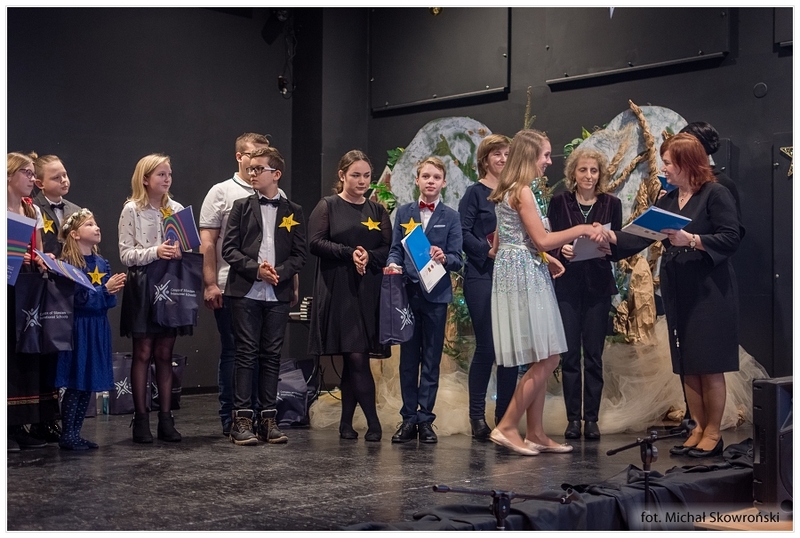 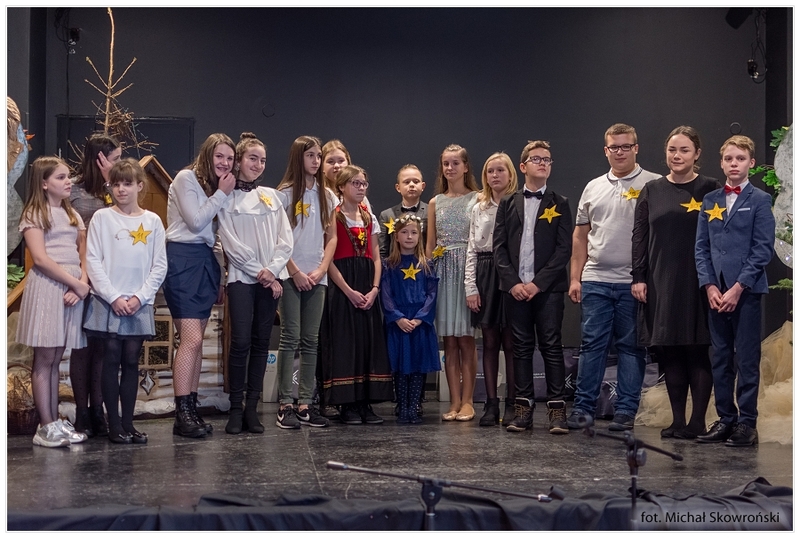 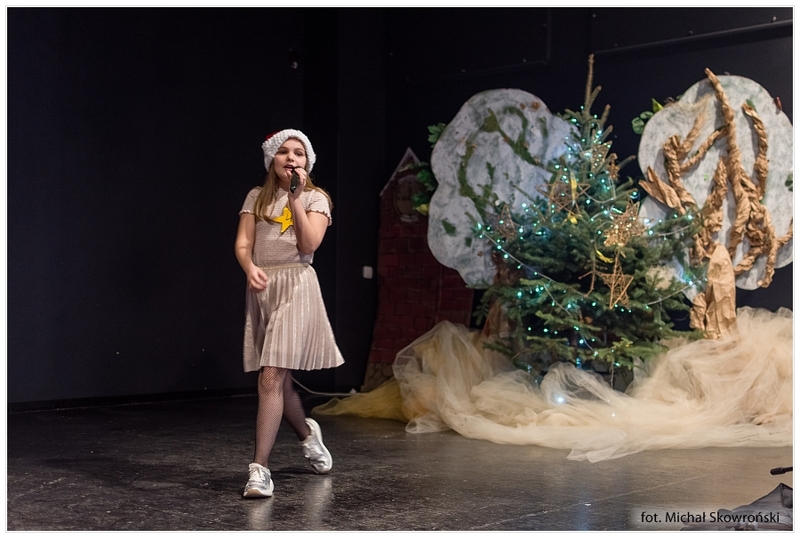 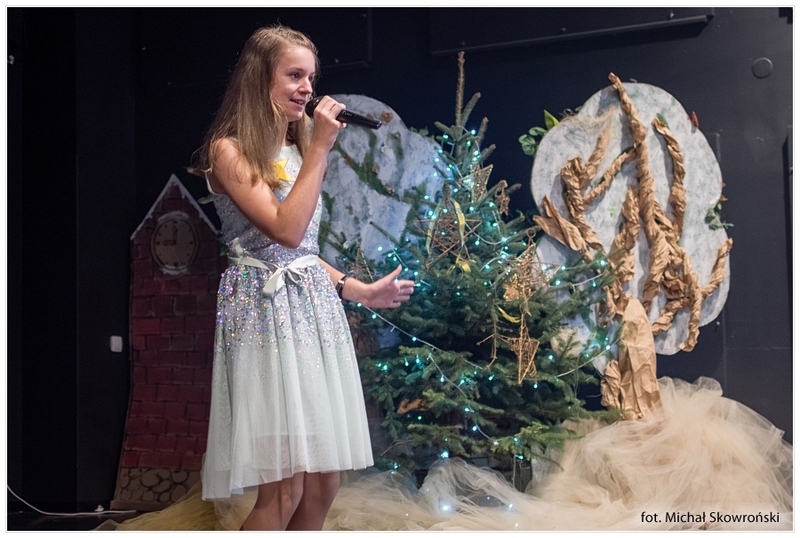 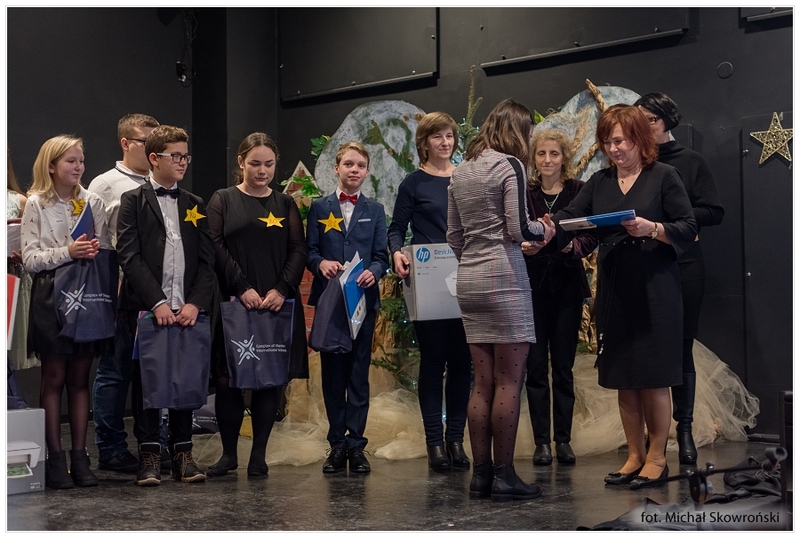 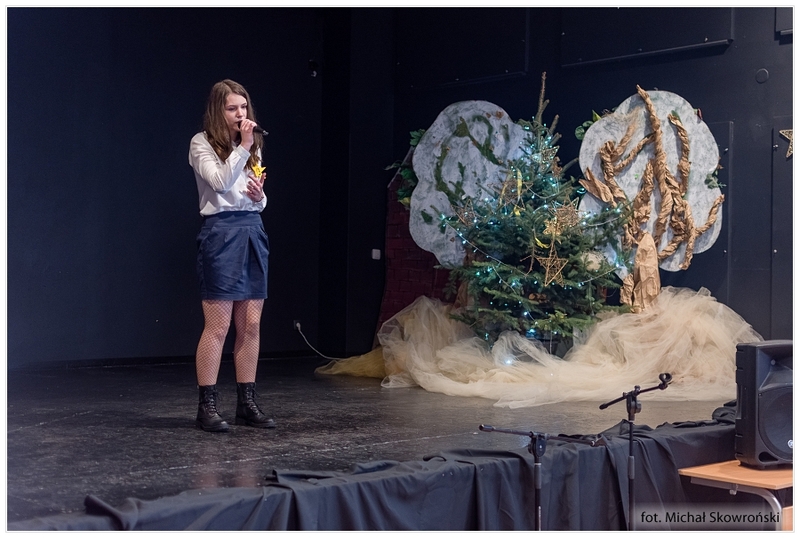 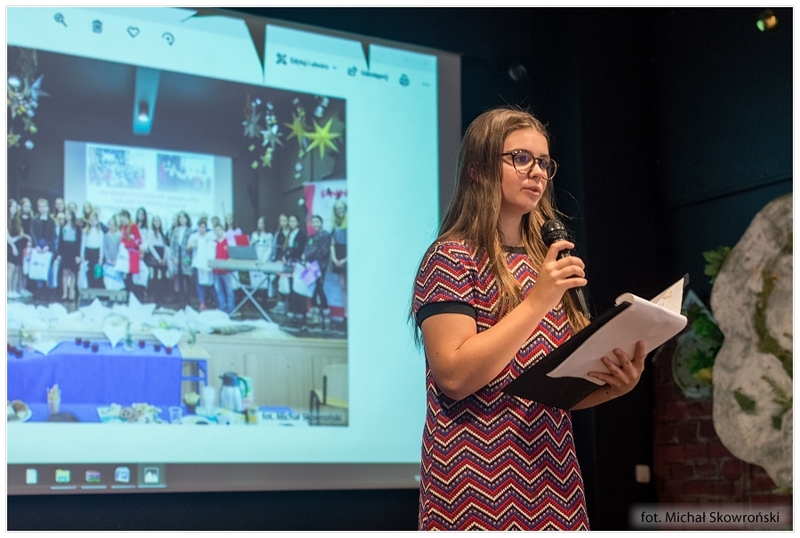 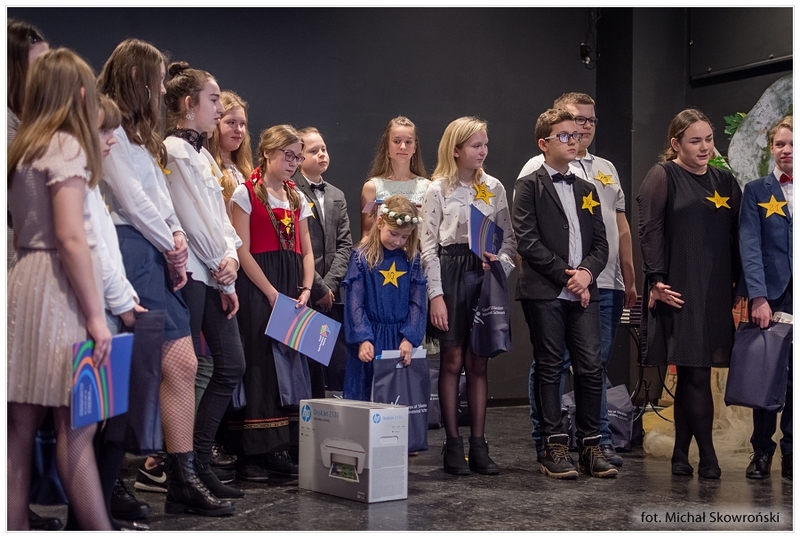 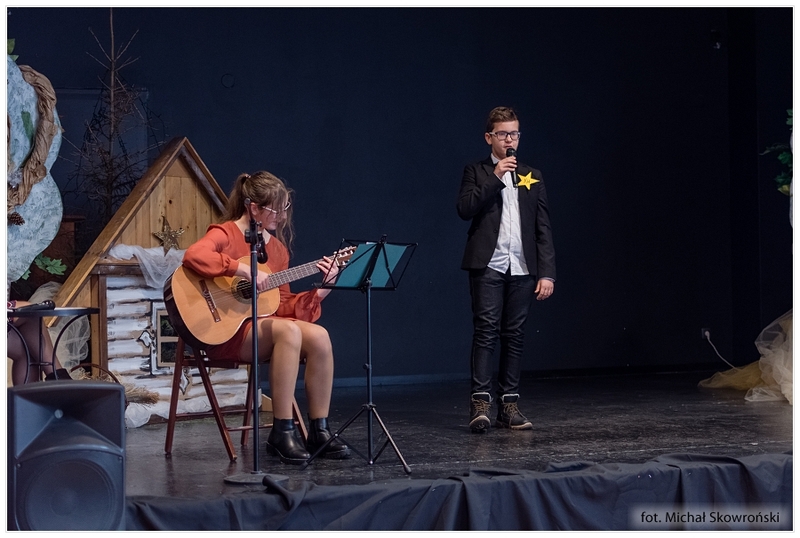 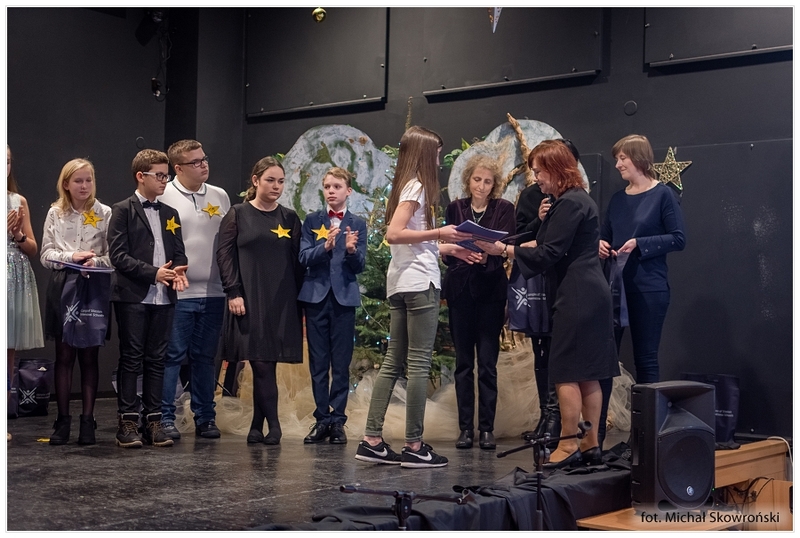 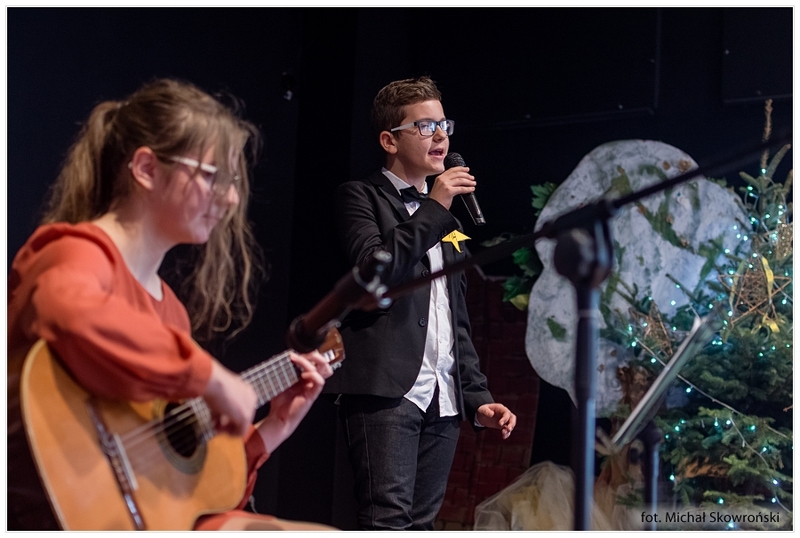 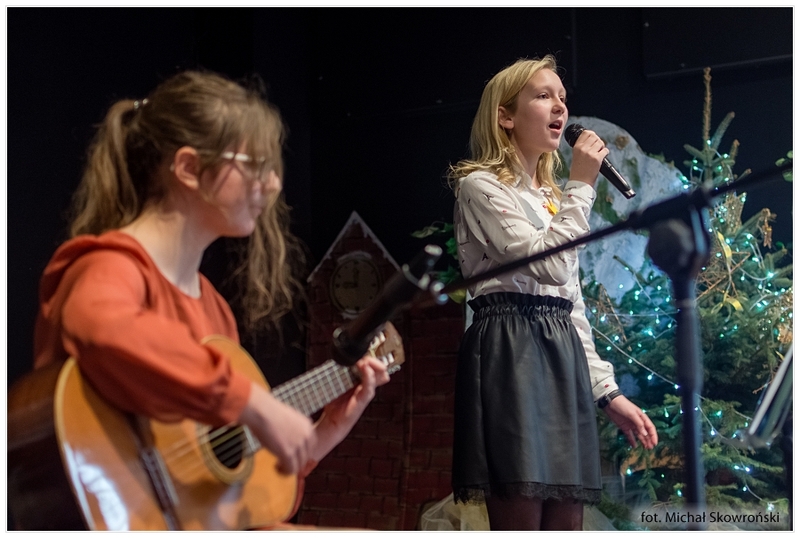 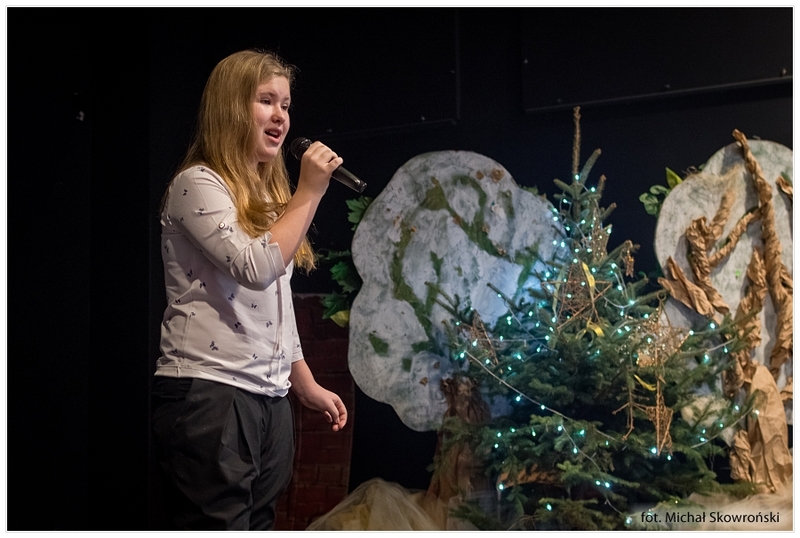 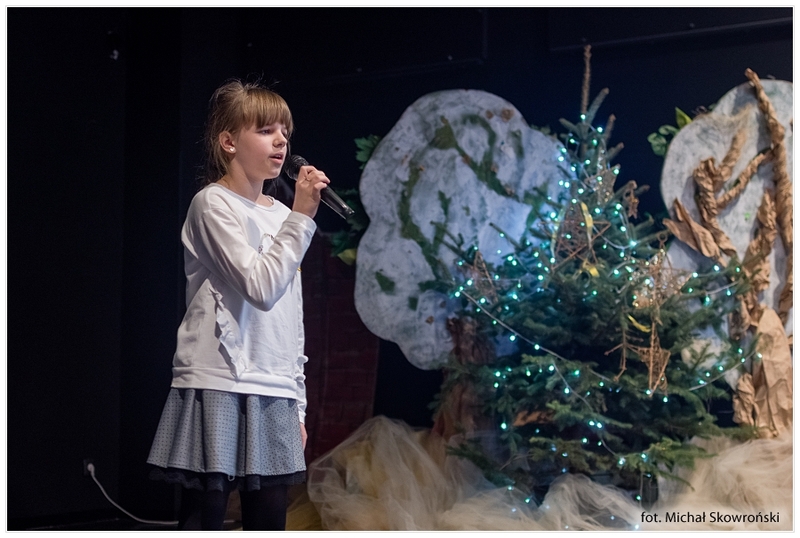 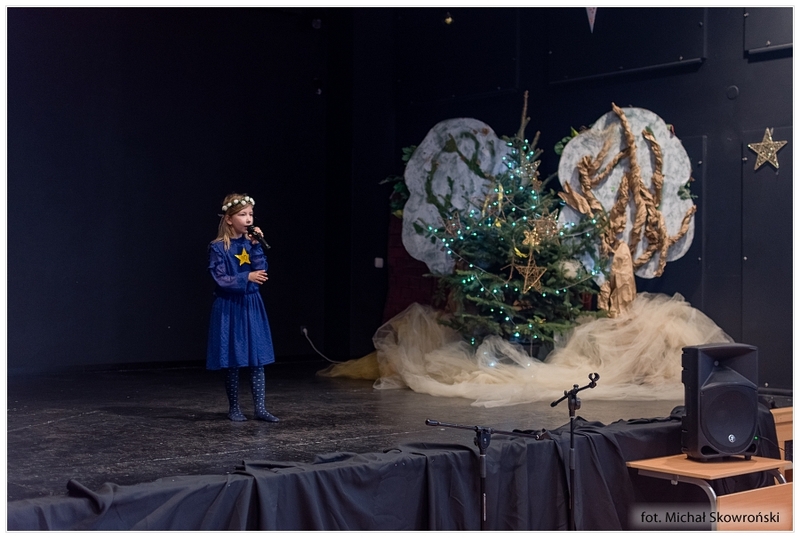 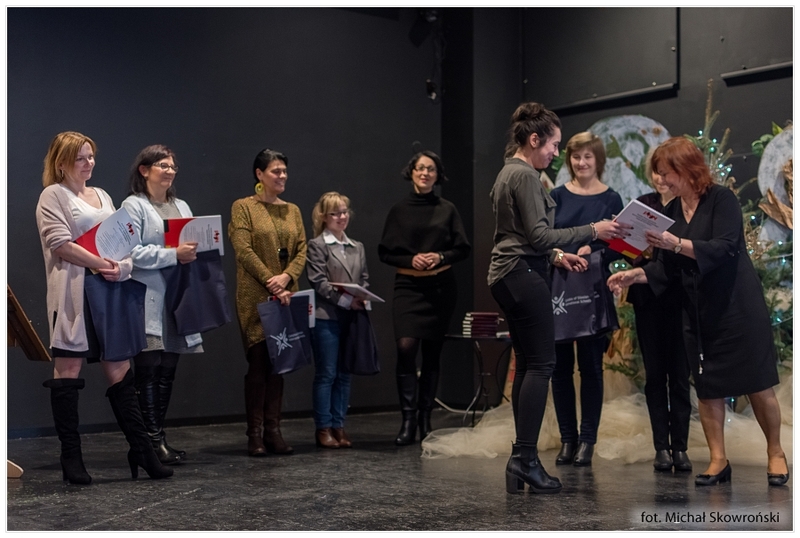 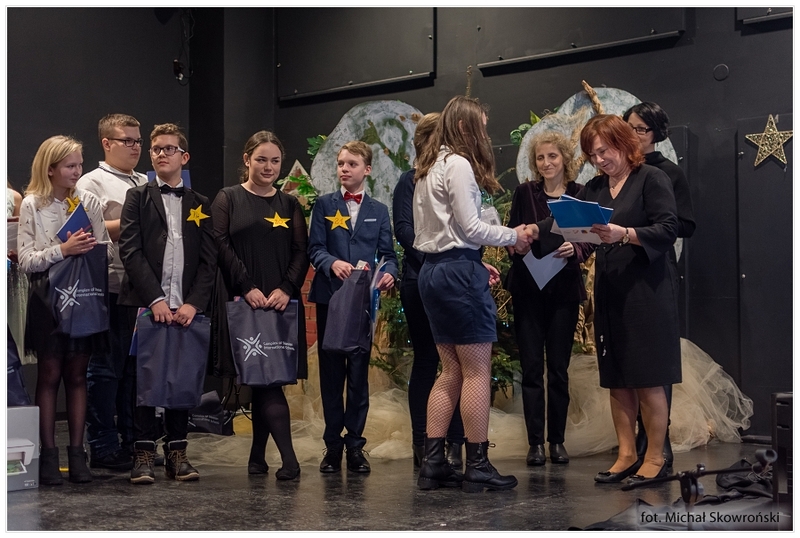 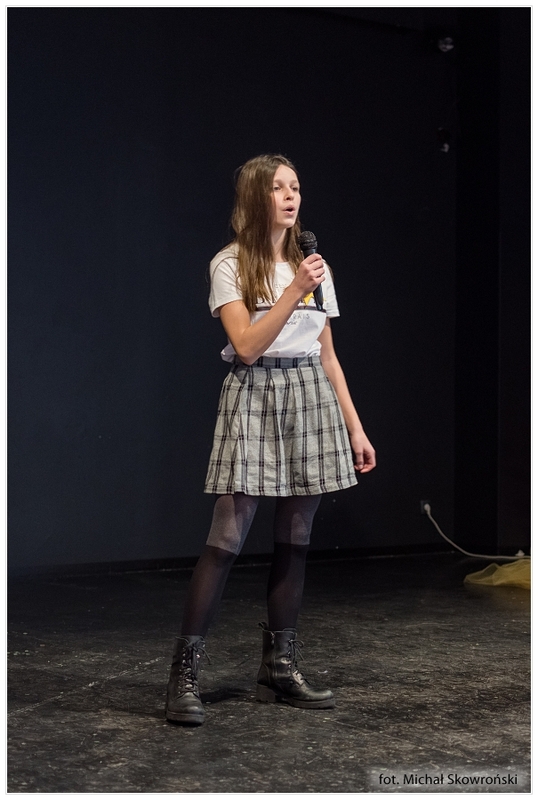 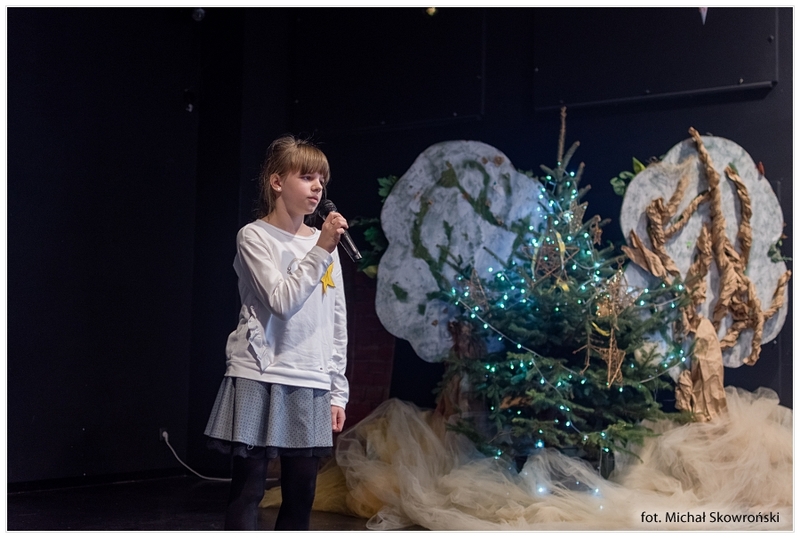 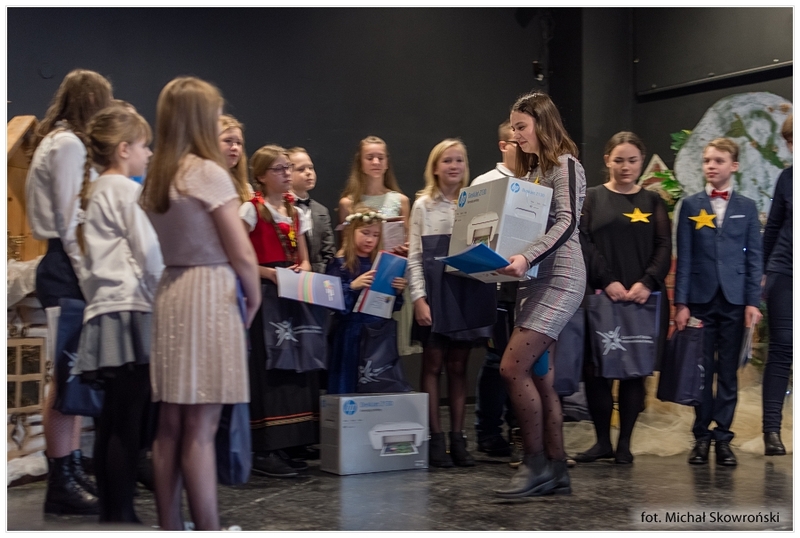 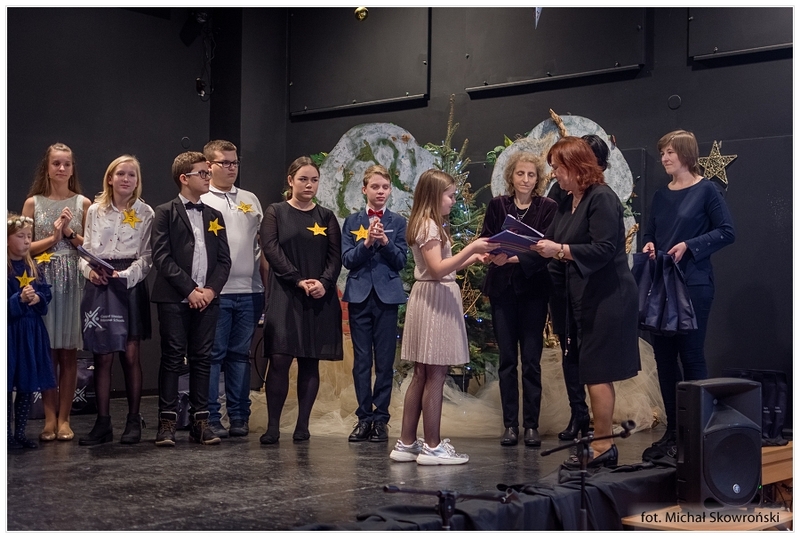 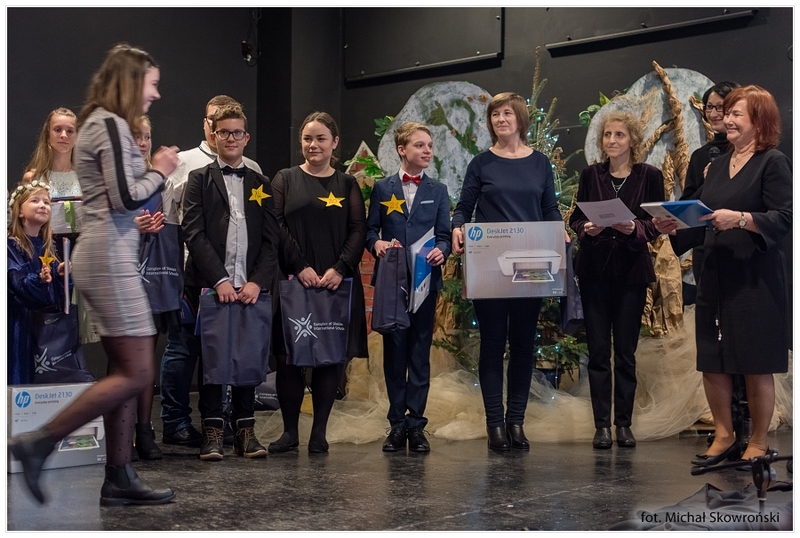 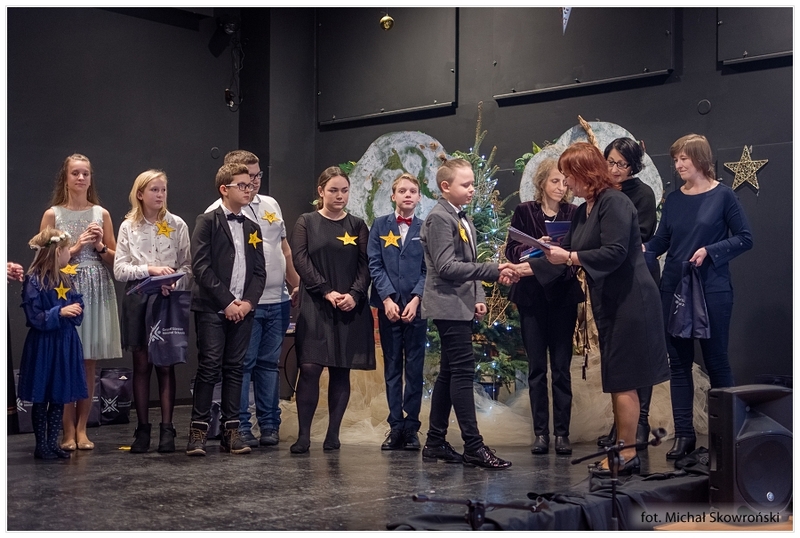 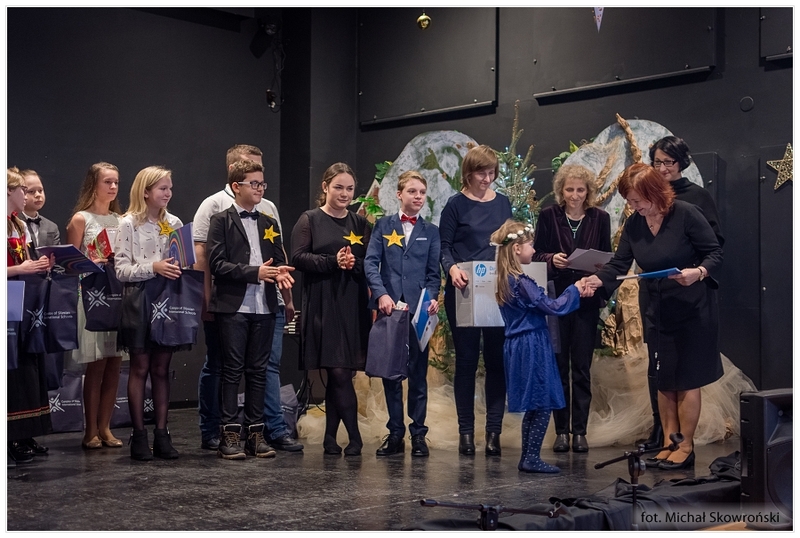 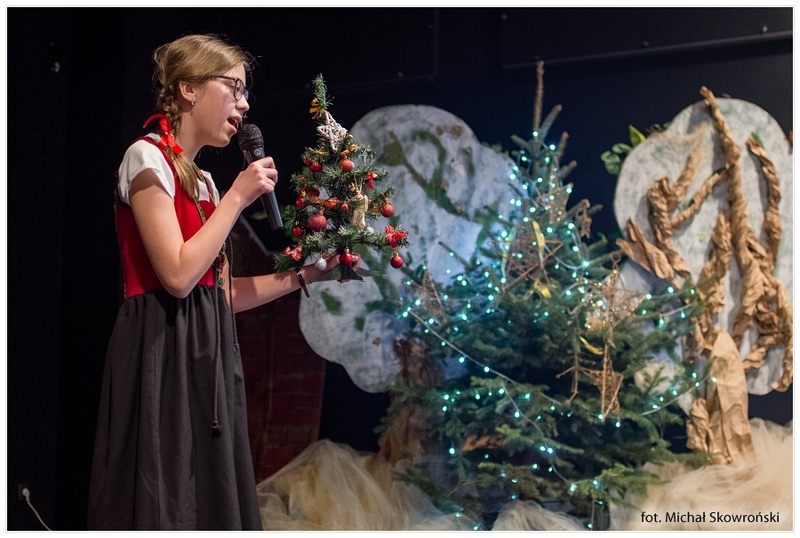 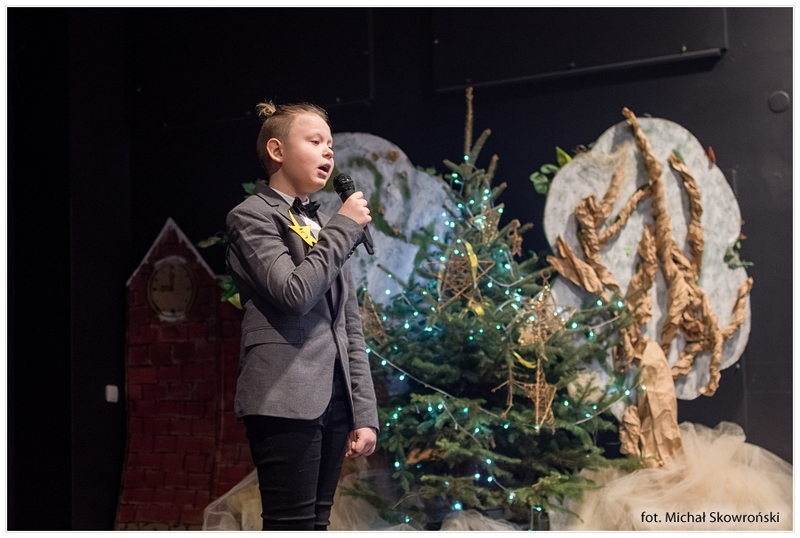 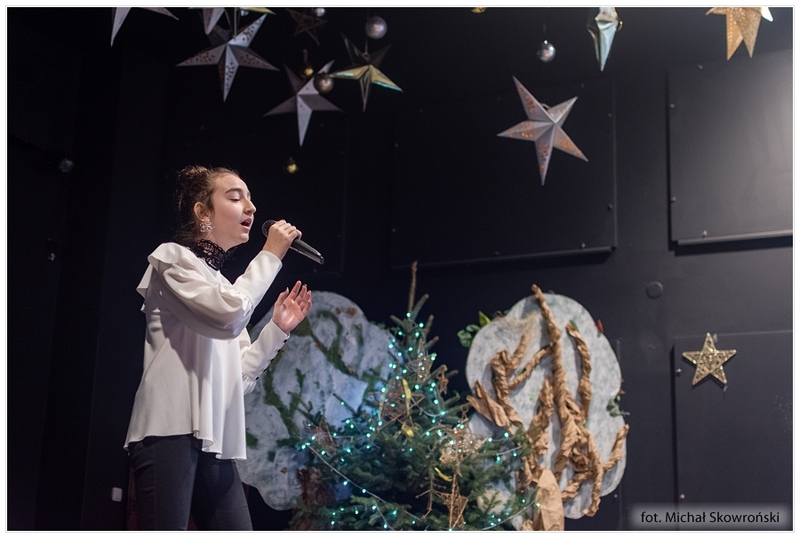 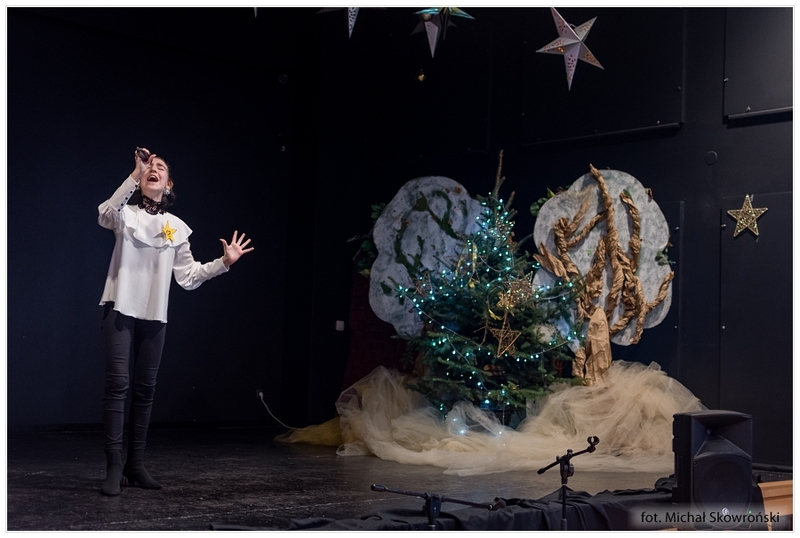 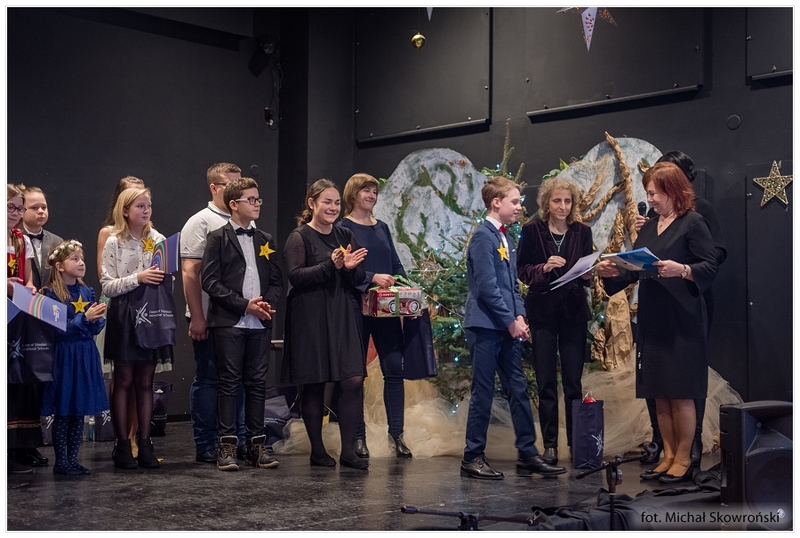 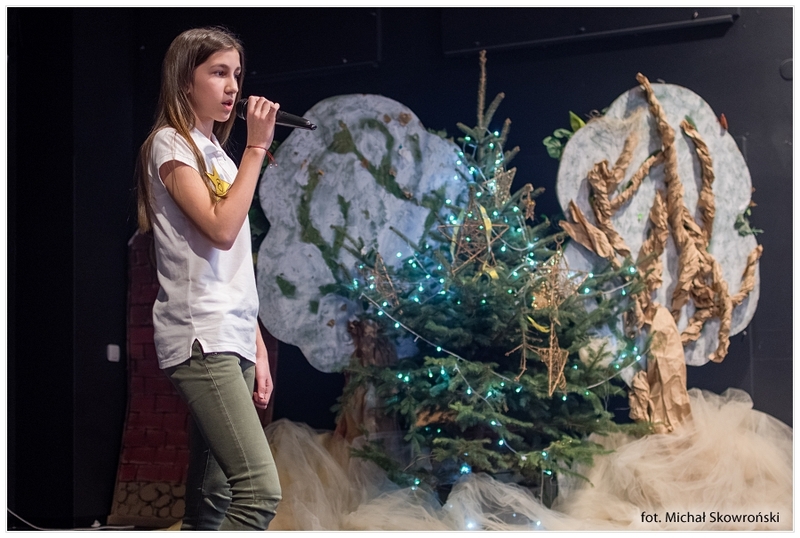 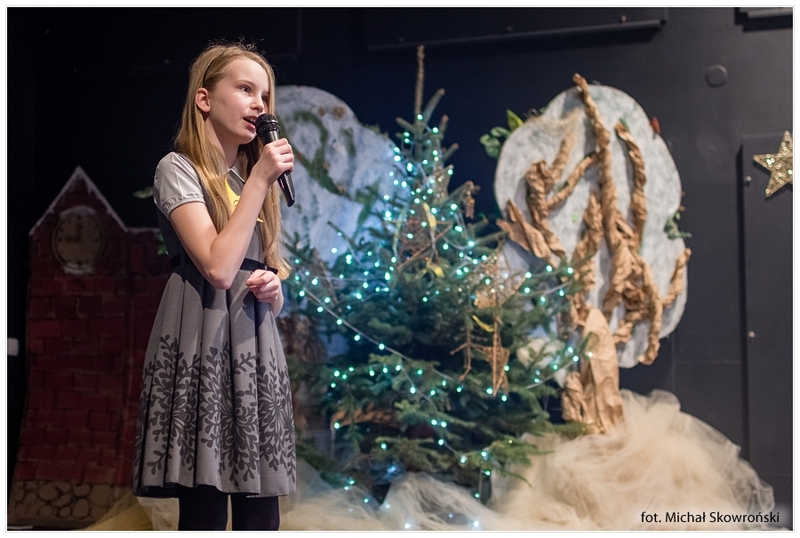 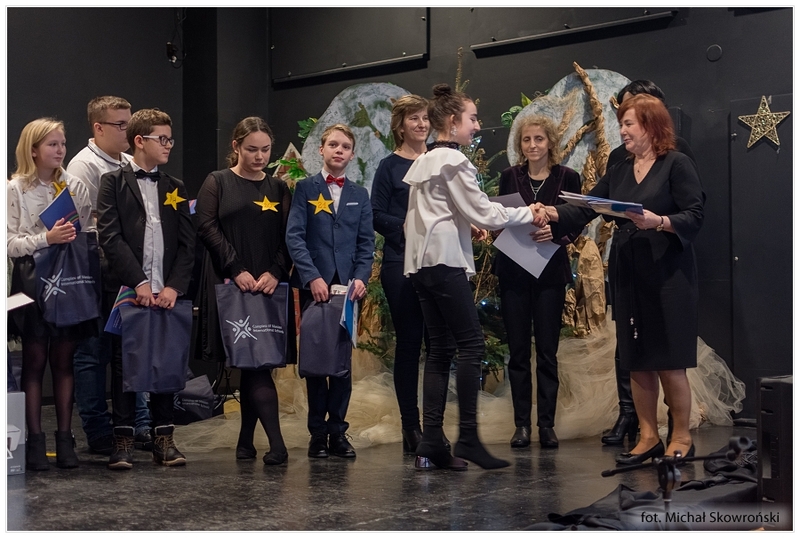 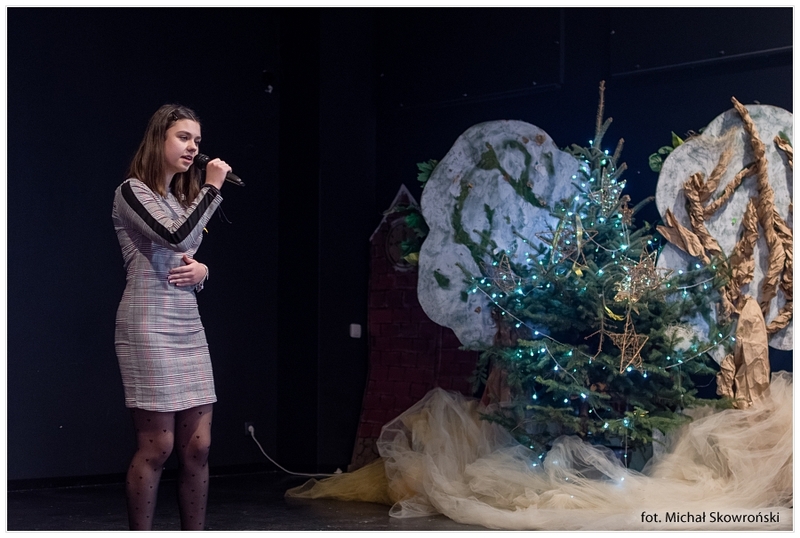 Oliwia Zygmunt from Primary School No 5 in Pyskowice won the first prize in the agre group representing grades 7-8, with the song "Mitten in der Nacht", performed in German. 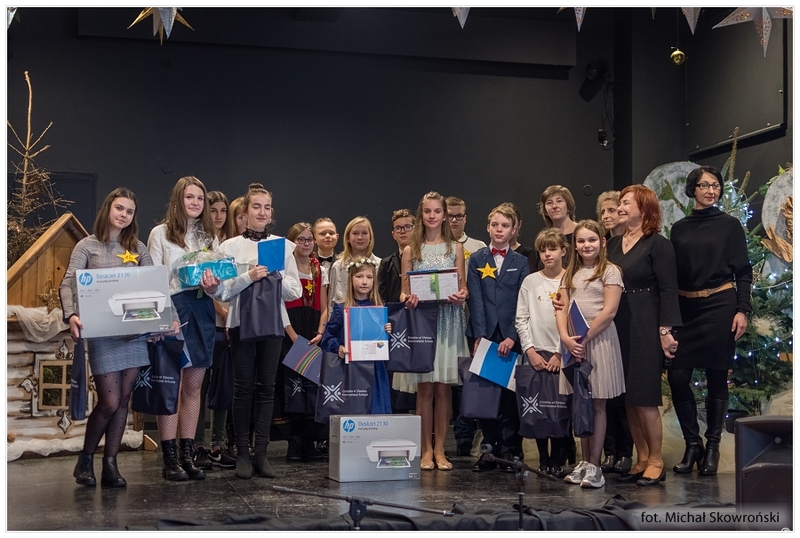 Congratulations to the winners! 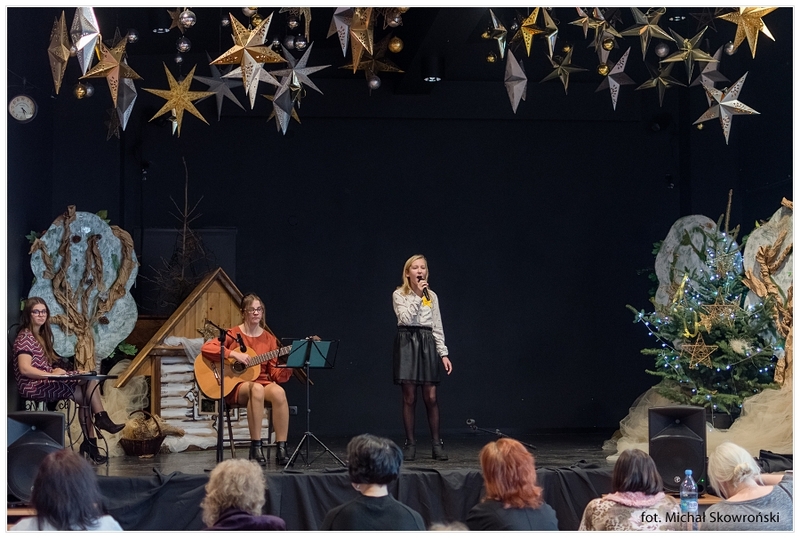 Thank you all for being there with us and for your beautiful performances of Christmas carols and Christmas songs!